user warning: Expression #1 of ORDER BY clause is not in SELECT list, references column 'hotkilns_live.n.created' which is not in SELECT list; this is incompatible with DISTINCT query: SELECT DISTINCT n.nid, n.vid, n.title FROM content_field_videos_features nr INNER JOIN node n ON n.vid = nr.vid AND n.status = 1 INNER JOIN node_access na ON na.nid = n.nid WHERE (na.grant_view >= 1 AND ((na.gid = 0 AND na.realm = 'all') OR (na.gid = 0 AND na.realm = 'content_access_author') OR (na.gid = 1 AND na.realm = 'content_access_rid'))) AND ( nr.field_videos_features_nid = 250 )ORDER BY n.created DESC in /home/hotkilns/public_html/sites/all/modules/nodereferrer/nodereferrer.module on line 428. 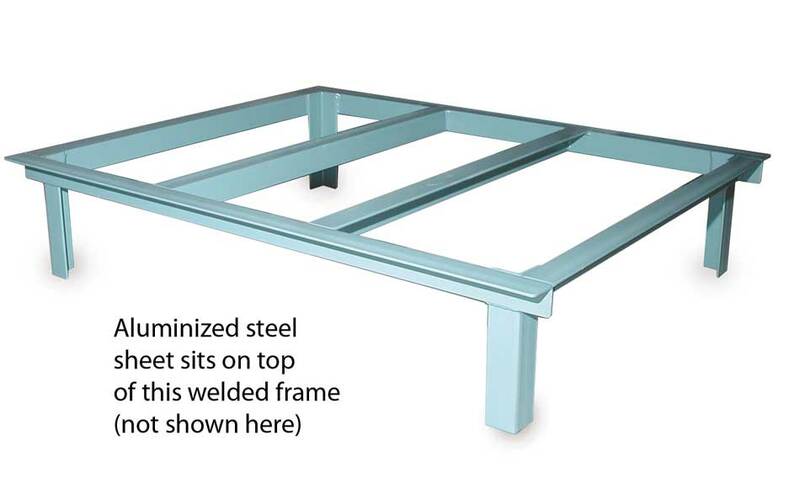 This welded stand will solidly support the weight of the kiln and the heaviest load in your kiln. The angle iron base is powder coated. The Aluminized steel sheet sits on top of this stand allows the bottom brick to move freely while expanding and contracting. It also provides better support for the kiln so that cracked bottoms are not a problem. Reflective surface of the aluminized steel also promotes energy efficiency by reflecting heat back to the kiln. The aluminized steel and powder coated angle iron resist corrosion.